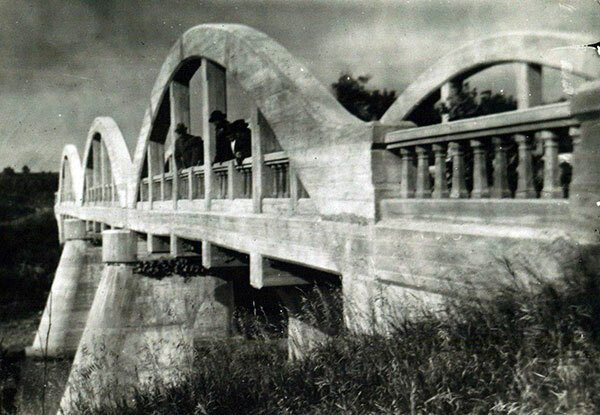 This concrete bowstring bridge over the Souris River in what is now the Municipality of Glenboro-South Cypress was designed by engineer E. S. Kent and constructed in 1921 using day labour at a cost of about $25,700. 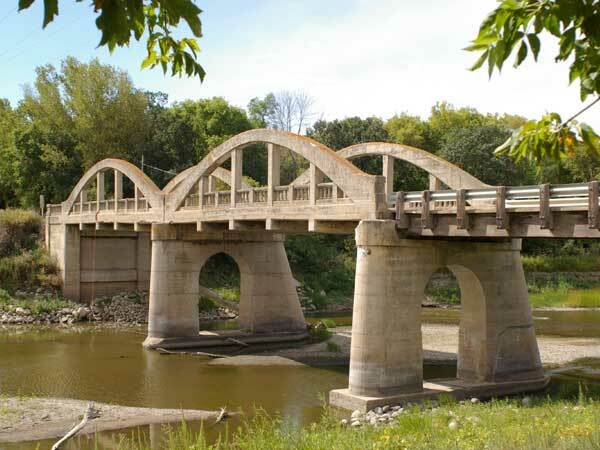 Originally a three-arch bridge, the northern-most arch was damaged during a flood in 1976 and was later removed. 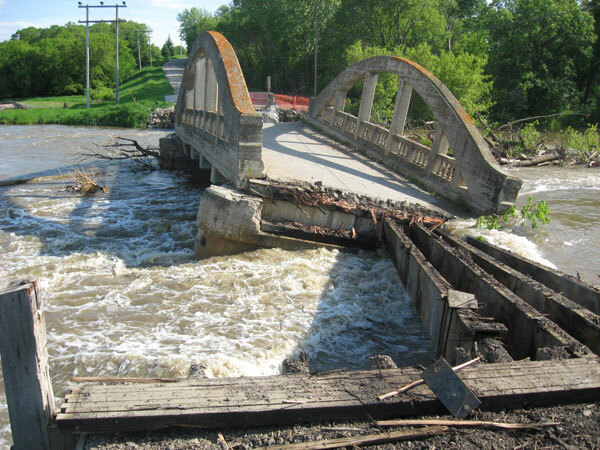 The bridge collapsed completely during the flood of 2011. Historic bridges inventory book (no date), Manitoba Infrastructure and Transportation. Pioneering in Highway Bridges for the Province of Manitoba and the Engineering Profession by George A. DePauw, 1993, page 69. 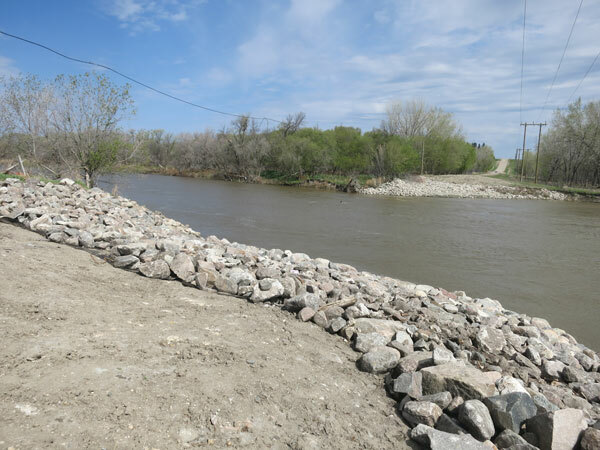 We thank Lisa Wilhelm, Adam Sobkow, Travis Everard, and Janet Moore for providing additional information used here.